Freddie Gray and Lead Poisoning? At the time of his death in April 2015, Freddie Gray of Baltimore, Maryland survived on a “pennies on the dollar” lump sum lead poisoning payment. As noted in an award-winning story reported by Terrence McCoy of The Washington Post, the payment was arranged by Access Funding, a financial company that purchases court-ordered settlements meant to be paid out to victims over many years. Gray made international headlines in April 2015 when he died due to injuries sustained while in police custody. His death resulted in protests across the globe and major unrest and rioting over several days in the “Charm City” – Baltimore’s nickname. However, you may not have known Freddie Gray and his two siblings, suffered from severe lead poisoning as children. According to McCoy, Gray and his sisters tested with blood levels reaching as high as 36 micrograms of lead per deciliter – a dangerously toxic level of blood. In 2012, the Centers of Disease Control (CDC) mandated that no safe blood level for lead exists in the human body. According to the CDC, more than 4 million U.S. households currently expose children to high levels of lead. Approximately 500,000 young children in the U.S. (ages 1-5) officially suffer from “elevated” levels of lead in their blood (more than 5 micrograms per deciliter). The Baltimore Public Health Department notes the effects of lead poisoning include brain damage, memory loss, hearing impairment, stunted growth, hyperactivity, kidney damage, seizures, coma and death. Gray lived in a $300 a month old row house with crumbling lead paint in Baltimore’s Sandtown-Winchester community – a once historic neighborhood that now has one of the city’s highest rates of abandoned and neglected properties. Gray and his sisters were awarded structured settlements meant to provide financial stability and support for their long-term needs. Access Funding found the Gray family and promised immediate payout with a check that ended up being worth only pennies-on-the -dollar of more than $400,000 of payments. There is some protection in almost all states for victims awarded a structured settlement. Legislation currently exists requiring a county court to determine if transfer to a lump sum payment is in the best interest of the client. However, a story in The Washington Post reveals financing companies arranging lump-sum payment deals often request hearings at county courthouses distant from the recipient’s home. Recipients don’t often attend settlement transfer hearings. They just pick up the check. According to the Post report, The National Association of Settlement Purchasers admits current state laws have loopholes that need to be closed. The Kentucky General Assembly was one of the first legislatures to tackle structured settlement reform. In 1988, the states passed the Structured Settlement Protection Act unanimously, even before the Federal Structured Settlement Protection Act was enacted in 2002. The House of Delegates in Virginia also unanimously passed structured settlement transfer reform in January of this year, following similar legislation in Wisconsin and Illinois. Maryland is the latest state to move toward structured settlement transfer reform with legislation endorsed by State Attorney General Brian Frosh. The Maryland bill is set to come before the floor of the General Assembly this spring. “We were lobbying for this bill the moment we heard about it,” said Ruth Ann Norton, Executive Director of the Green and Healthy Homes Initiative, a leading national advocacy organizations for children and families impacted by lead poisoning. “How predatory can you get to prey on poisoned children and basically steal money from a kid who is lead poisoned?” said Norton. Structured settlement transfer reform legislation strengthens existing law by requiring financial companies to request transfer to a lump sum settlement in the county court where the settlement awardee lives. Moreover, the awardee must also be present. Those states engaged in strengthening state law are requiring judges look more carefully at these agreements to discourage predatory practices. Therefore, even if you live far, far away from Flint or Baltimore – lead is still your issue. 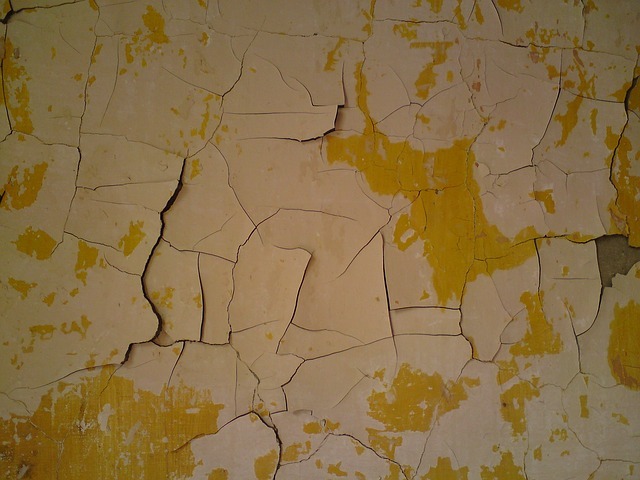 Lead paint was used in homes built before 1978, when it was legally banned in the U.S. That is many large, small, urban, suburban and rural American communities. But if you aren’t convinced that lead is your concern – then hopefully you are persuaded that predatory financing companies operating in your state need stronger restrictions to prevent them from poaching another dime from low-wealth victims of lead poisoning and other tragedies. Thank you to the state assemblies that have passed structured settlement transfer reform. Thanks for putting politics aside and protecting our most vulnerable citizens from being poisoned by a greed more lethal than lead.